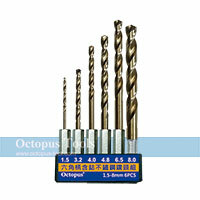 ◆ Made by HSS high speed steel, outer titanium plating enhances hardness, durability, abrasion resistance, fast penetration, and reduces displacement. 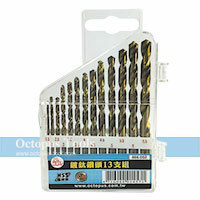 ◆ 10pcs per set with all specs. 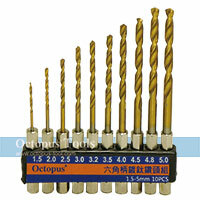 ◆ Manufactured from M35 cobalt steel, heat-resistant and hard. 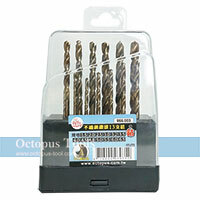 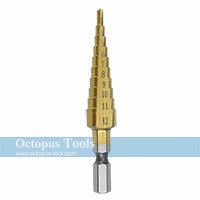 ◆ The set includes 6pcs of M35 cobalt steel twist drill bits. 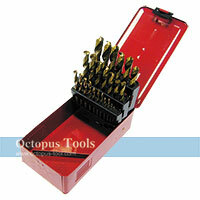 ◆ Designed for metal working, particularly successful in cutting through hard metals such as stainless steel. 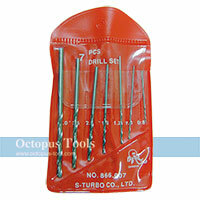 ◆ With this product, you can save time without changing drill bits. 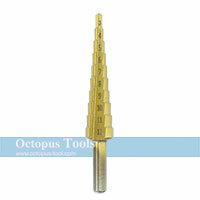 ◆ Speed: 400 - 800 rpm for metal, and 900 - 2000 rpm for non-metal. 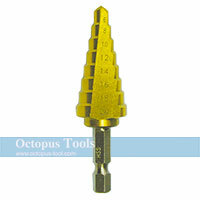 ◆ Speed: 150 - 400 rpm for metal, and 400 - 1000 rpm for non-metal. 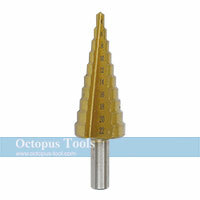 ◆ Speed: 200 - 600 rpm for metal, and 500 - 1500 rpm for non-metal.